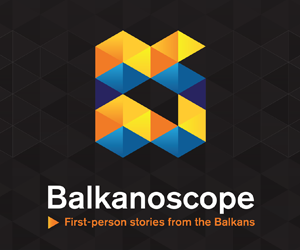 SKOPJE – According to the 88.5% of the processed data, 91.33% of the voters in the yesterday’s referendum in Macedonia supported the Agreement with Greece on the name change, while 5.76% were against it, State Election Commission reported. The turnout was lower than expected at 36.27%, which makes the future of the Agreement more uncertain as the parliament is expected to vote for constitutional changes. EU and NATO officials welcomed the results and called for the responsibility of the political leaders. “In a peaceful and democratic vote an overwhelming majority of those who exercised their right to vote said yes to the Prespa agreement on the name issue and its European path. The Parliament will now be called upon to proceed with the next steps of the implementation of the name agreement by deciding on the adoption of the constitutional changes”, reads a joint statement by EU High Representative Federica Mogherini and European Commissioner for Enlargement Negotiations Johannes Hahn. “It is for all political and institutional actors now to act within their constitutional responsibilities beyond party political lines. The European Union will continue to fully support and accompany the country, its institutions and all its citizens”, the statement adds. Similar message was sent by the NATO Genral Secretary Jens Stoltenberg. “I welcome the yes vote in Macedonian referendum. I urge all political leaders and parties to engage constructively and responsibly to seize this historic opportunity. NATO’s door is open, but all national procedures have to be completed”, he wrote. US State Department also released a statement in which it welcomed the results and emphasised United States’ support for the implementation of the Agreement. It also urged political leaders to “rise above partisan politics and seize this historic opportunity to secure a brighter future for the country”. Macedonian Parliament (Sobranie) is now expected to vote on the constitutional changes required for the implementation of the Agreement. 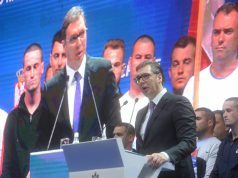 A two-thirds majority is a condition for the changes to be adopted, which means that some members of the opposition party VMRPO-DPMNE will have to cast their vote for the agreement as well. 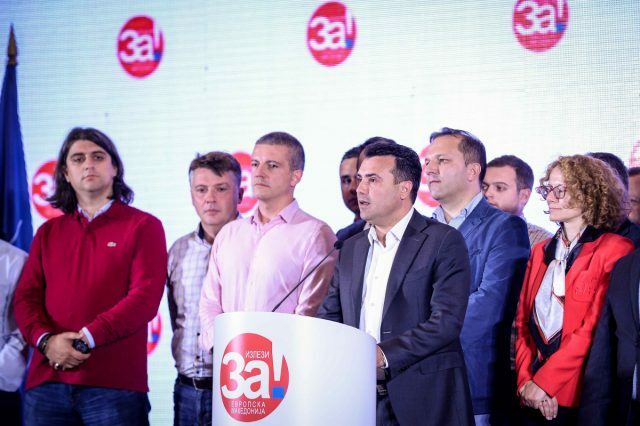 In his statement immediately after the referendum, Prime Minister Zoran Zaev said that citizens gave their support for the implementation of the Agreement and country’s NATO and EU membership and that the better solution than the existing one can not be achieved. According to Zaev, in the next few days, it is going to be established whether there is a two-thirds majority in the parliament. If there is not, early parliamentary elections will be called, said Zaev, N1 reported. In his first reaction to the results, however, VMRO-DPMNE leader Hristijan Mickoski did not seem cooperative. “We have had a deeply unsuccessful referendum. The politics of Zoran Zaev and the government are a debacle, and today Macedonia has truly won. The number of citizens who did not support this shameful agreement, that is, the number of citizens who abstained from voting or voted against the agreement, is drastically larger than those citizens who voted for the agreement. It is a fact that the agreement with Greece did not get a green light, it got a red light from the people”, said Mickoski, META reported.